Former Traffic Court Judge Thomasine Tynes, 71, a Philadelphia Democrat, has agreed to plead guilty to a felony count of conflict of interest, her defense lawyer disclosed Monday in a court filing. The "sting" case that Pennsylvania's attorney general contended was "not prosecutable" has led to a promised guilty plea. 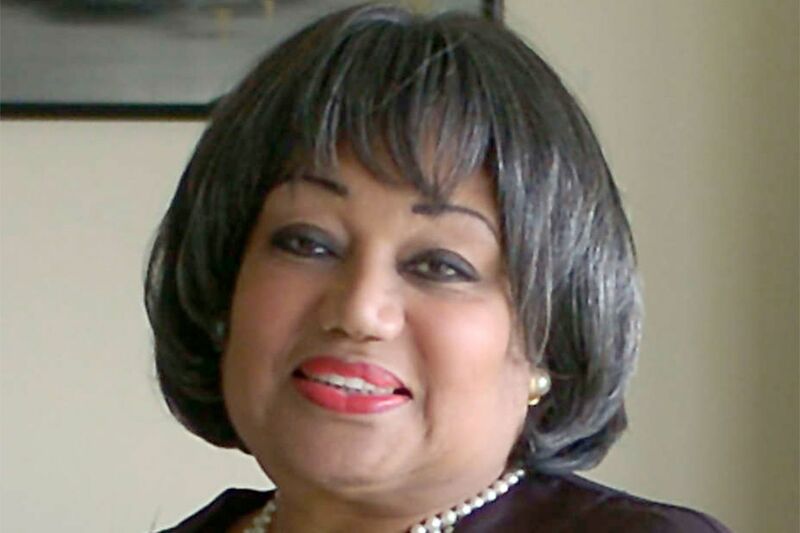 Former Traffic Court Judge Thomasine Tynes, 71, a Philadelphia Democrat, has agreed to plead guilty to a felony count of conflict of interest, her defense lawyer disclosed Monday. The plea represents a big win for District Attorney Seth Williams, who resurrected the sting investigation this summer after Attorney General Kathleen G. Kane shut down the probe - and then dared him to pursue it. Kane secretly ended the investigation in 2013, bringing no charges and not informing the state Ethics Commission that the sting had allegedly caught Tynes and four state legislators on tape accepting cash or, in Tynes' case, a $2,000 bracelet. After The Inquirer in March broke the news of the aborted operation, Kane vigorously defended her decision. She blasted the sting's "shoddy police work," and said it was possibly tainted by racial targeting and too reliant on a "shady" undercover agent. It was "dead on arrival," she said. Williams defended the investigation, which was set in motion by a former top state prosecutor, Frank G. Fina, who is now on his staff. Williams declined comment Monday. Political analyst and pollster G. Terry Madonna said Monday that Kane's challenge to Williams had backfired. "I said this from the very beginning - one conviction is all Seth Williams has to get to prove that there were people who broke the law and should have been punished," Madonna said. Kane spokeswoman Renee Martin did not return calls seeking comment. In bringing charges against Tynes in October, Williams held high a key piece of evidence against her - the Tiffany bracelet she accepted from informant Tyron B. Ali. "This case is press and play," Williams said at the time. "Press a button, listen to the tapes." "It's like shooting fish in a barrel," he said. Tynes' lawyer, Louis R. Busico, outlined the deal Monday in a sentencing memo he filed in federal court in a separate criminal case against Tynes. His account was affirmed by other sources familiar with the probe. In seeking a sentence of house arrest, Busico informed the federal judge that Tynes had agreed to plead guilty in the sting case and had testified before a grand jury gathering evidence against the four state lawmakers. "It is anticipated that more arrests of Philadelphia politicians will be made by the office of Philadelphia District Attorney Seth Williams based, in part, from the cooperation of Thomasine Tynes," her lawyer wrote. Busico said Tynes had been unfairly manipulated by Ali, who gave her the bracelet during a meal at the Palm restaurant that he paid for as he lobbied her for help winning a contract to collect Traffic Court debts. According to a tape secretly made by Ali, he toasted her: "To making some money together." "To making money," Tynes replied. Busico called Ali "a con artist of the first magnitude" who had set out to "ingratiate himself to Ms. Tynes." He said Tynes was suffering from a host of physical and mental ailments, including cancer, diabetes, and dementia. "Thomasine Tynes has led an extraordinary life overcoming the ravages of mental and physical abuse at a young age; a lifetime of prejudice against both her race and gender; myriad physical and mental health illnesses; and the treacherous world of Philadelphia politics," he wrote. "At the age of 71, she stands before this court a humbled, embarrassed and ashamed citizen with a severely tarnished legacy." Under Tynes' deal with city prosecutors, they have agreed not to seek a sentence that adds any punishment to that meted out in federal court. Tynes could face up to 21 months in prison under sentencing guidelines. The District Attorney's Office also agreed to drop the other charges, including bribery, conspiracy, and failures to report the gift on financial-disclosure forms. According to sources and investigative documents, the four Philadelphia Democrats caught on tape and the amount of money they pocketed are: State Reps. Ronald G. Waters, $8,250; Vanessa L. Brown, $5,000; Michelle Brownlee, $2,000; and Louise Bishop, $1,500. They and their lawyers have generally declined comment. Bishop's attorney, A. Charles Peruto Jr., however, said Monday that the evidence against her was too weak to support to criminal charges, let alone a conviction. As for Tynes, Peruto said that Busico had struck a sensible deal for a client already convicted in another case. "She will not do another day" behind bars because of a second conviction, he said. Busico and Tynes did not return calls. In his sentencing memo, Busico told U.S. District Judge Lawrence F. Stengel that her decision to cooperate "did forever destroy and terminate long-standing relationships with individuals she believed were her friends." As a result of the federal perjury conviction, Tynes is to lose the $68,000 annual pension accumulated during her quarter-century on the bench. Rendell described Tynes as "a person who will help virtually anyone in need." "If she has made an error," he wrote, "I believe it must have been in an effort to help people." Busico painted a poignant portrait of his client. He said Tynes' twin brother died in childbirth and her mother soon afterward. Until her grandparents took her in, she was beaten and berated by her father because she, "the girl," had lived, and her twin, "the boy," had died. Along the way, she garnered accolades for her work with immigrants and efforts to explain the court's work to the public - including a short-lived radio show, Rappin' With Judge Tynes. Inquirer staff writer Mark Fazlollah contributed to this article.